Though Carl Crawford has struggled with injuries and performance since joining the Red Sox, he told Scott Lauber of the Boston Herald that he has no regrets about signing with the team in the 2010-11 offseason. Team president Larry Lucchino discussed the recent Crawford-to-Miami trade rumors on WEEI's Dennis & Callahan radio show (WEEI.com's Kirk Minihane has a partial transcript). "Dan Jennings, the guy from the Marlins front office who drafted Carl Crawford, was up in Boston scouting, presumably, Carl Crawford and others when Ben [Cherington] let us about the fact that there had been an inquiry," Lucchino said. "And given the encouragement that we offer regarding being bold I'm sure he asked them what they had in mind. That's just par for the course for this time of year. You explore all the possibilities, big ones, bold ones, small ones, incremental ones, whatever you can do." Also from Lucchino's interview, he thinks Cherington is "empowered" to make a big move at the trade deadline. "This is a club has been built on bold moves over the years, going back to the Nomar Garciaparra trade as one example," Lucchino said. "There should be no doubt in anyone's mind that Ben Cherington and the entire baseball operations are all pointed to working hard to July 31." Manager Bobby Valentine told reporters (including Brian MacPherson of the Providence Journal) that he is open to roster improvements though he doesn't "see any gaping holes on our team." Valentine announced he doesn’t “see any gaping holes on our team” immediately after placing Ciriaco in the DH position. Oh, good grief. Just because the Sox don’t have some stud waiting in the wings to play DH when Ortiz goes on the DL doesn’t indicate that that’s a gaping hole on the team. Jeez. Say now, there still has to be at least one member of the Lars Anderson bandwagon out there. Because Ciriaco is the teams normal DH, and is going to be there the rest of the year, and they don’t have the best DH in the game coming back in a couple weeks, so they really need to trade for one, right? I’ll take a DH who’s batting .395 any day, personally! Why would Crawford have regrets for signing a contract that gives you millions upon millions of dollars? Wait a second I wasn’t criticizing the fact that he signed with the Red Sox? I was pointing out the fact that most people would not regret signing a piece of paper that would give you millions unless the trade off was having some obscene tattoo plastered on your face and you were contractually obligated to leave it there. If anything, Crawford is THRILLED he signed that contract before his game fell apart. Regrets? Silly talk. 1 season? 6 more left? How many that hammered CC are going to remain silent when he returns to form? 1st 3 games he hasn’t done too shabby and ATM can’t even throw the ball 70′. Electric CC has looked like the CC from the Rays on the base paths so far. He might rebound but what does that have to do with my comment? Rebound or not, he’s thrilled he signed in 2010 and not after that disastrous 2011 campaign. You better hope he finds his form; also doesn’t he need TJ next year? He is getting it after the season. For positional players? The return time is only 5 months or so. He should be back by the start of 2013. 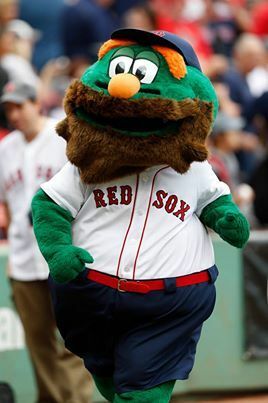 Im scared to death of Cherington making a ‘big move’…..
Dont be. I got this! Shhh. Hopefully Theo doesn’t read this. The back end of Buccholz, Doubront, and Cook/Morales have been performing as well as, or better than, could be expected (since Buchholz re-found his change up at least), and they aren’t going to be replacing Beckett or Lester, so while I agree that the rotation (in a broad sense) needs to be upgraded, the question is who you replace. “I don’t see any gaping holes in our team.” Well than Bobby your blind then! – Things you’ll never hear an athlete say, ever. sure most people wouldnt regret signing that contract… but most people didnt have the same money offered to them in multiple locations. he wants out of the lime light. Carl Crawford would be a perfect fit in Left Field for the Dodgers. The question is what is Boston asking for in return?